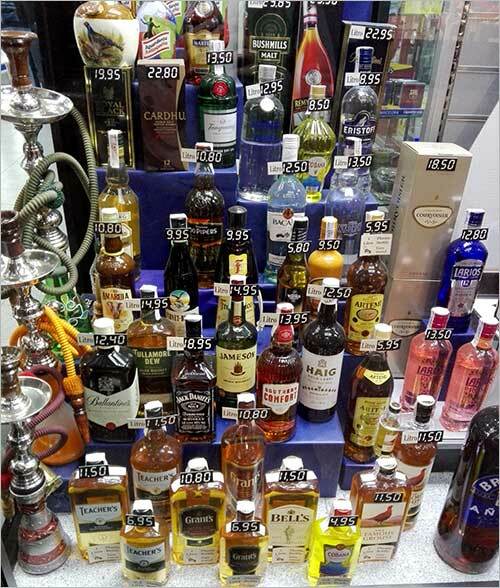 Shopping in Gran Canaria for cigarettes and liquor is worth it, due to the huge price difference between the taxes in the Canaries, and the rest of Europe. These items can be easily found in all kinds of shops, such as supermarkets, petrol stations, bars, bazaars, etc. To get the best deals, take some time to compare prices in different shops, and save another 20-30%. In-flight magazine: Research starts before you land on any of the islands. Check your in-flight magazine to get a price guideline and work down from there. Remember to write the prices down, so that you can refer to them later. Supermarkets: All supermarkets are only allowed to sell cigarettes to adults. Prices vary depending on the supermarket chain. If you buy from a machine outside a supermarket, you will have to give a shout to one of the cashiers. He or she will press a button on a remote control after checking that you’re a grown-up, and the machine will work. Specialized tobacco and liquor shops: Generally these shops have good deals all the time, because of their volume purchasing. They also have on-going promotions, gifts, and other incentives for buyers. Duty-free shops at the airport: You’ll only be able to get access to these while departing. When they say “duty-free” they mean it, but what they don’t tell you is that the retailers inside the airport must pay a commission to the airport of around 30% for each item they sell, and then add their profit on the price as well. This is the reason the real best deals will always be outside the airport. Cigarettes can't be advertised in any way. Therefore checking prices online isn't possible, because retailers aren't allowed to display them. Genuine and fresh goods: They are specialists and will always give you the best product, in the best condition. Promotions: The different tobacco companies have their staff working inside these shops, promoting their brand. Every few weeks, a different brand has a promotion, with a gift for buying e.g. 2 cartons, or a free miniature bottle of liquor when you buy a big one, etc. Free bubble wrap: Liquor bottles bought outside the airport must go inside the checked-in luggage. Specialized liquor shops will gladly pack the bottles and put plenty of bubble wrap on top, so that nothing happens to the parcel during travel. Plastic bottles: A specialized liquor shop can offer you the same liquor bottle available in glass or plastic bottles. The latter are great for travel, because they weigh (a lot) less. 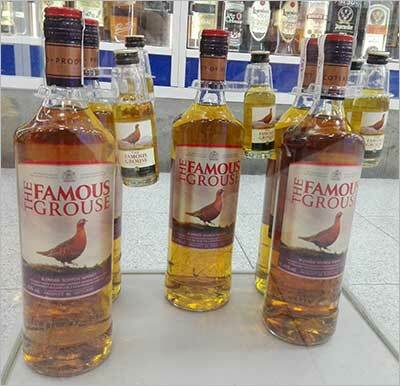 Not all brands of liquor offer bottles made of plastic, but there is quite a wide range. Generally cigarettes are cheaper outside the duty free shops of the airport, but in certain cases, there may be a good deal. Below are two photos, one of the duty free shop, and another of the Condor in-flight magazine, taken in March 2016.